Seven years ago I finished my Renaissance quartet with A Gift for the Magus and was faced with the question of what to do next. What — or where — did I love as much as Florence? The answer was very close to home: White Horse Hill, Uffington. Martin Henig of Oxford University led me to the story, not of the Horse’s inception (now known to be Bronze Age), but to a later time and a later people: the tribes of the Iron Age. As a sacred site, or sanctuary, it was a no-man’s-land, a place where three tribes met, but the Atrebates, who used it as a design for their coins, seem to be most associated with it. The bronze horse found at Calleva (Silchester) is clearly based on the Uffington Horse but it always shown facing left for some reason. Flip it over and you see the Horse all joined up, as perhaps it was in those days. The territory of the Atrebates once ran from the Thames down to the sea but by AD43 it had shrunk to the southern-most settlement at Noviomagus (Chichester). The bones of the story may be found in Martin Henig’s The Heirs of King Verica. With his permission, I took those bones and added muscle and flesh to bring back to life Togidubnus, once called ‘Great King’ but now almost entirely forgotten. Yet he was the first, according to Henig, of a line that includes Arthur and Alfred who shaped the nation now called England. In the final week of 2017 I am putting the finishing touches to the first part of a duology called Keepers of the Sacred Place. A final edit is required, maps, glossaries, etc., but I’m hoping for publication by Easter. Expect lots more background material! ‘Mabon’ is the old name for the autumn equinox. It’s a time of poise and balance between the old and the new. 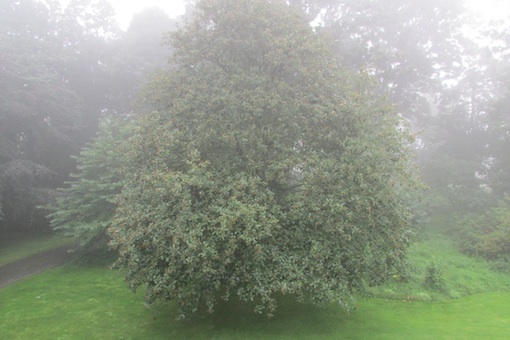 Summer is tired and wants to sleep now, while wintry things like fog seep up from the depths. I live a Persephone life, gardening in the summer and writing in the winter. There is always transition time, and the restlessness I feel right now, unable to settle, will have gone by Samhain. Between Samhain (November) and Imbolc (February) is the intense period for writing. Right now the least I can do is blog! Apologies for long absence. Although it was supposed to be a holiday, I can never travel without a purpose, and so when we visited Lincoln to see family in August, I had to go to the new museum, The Collection, and see the objects deposited in the river Witham at Fiskerton. They even have a bit of the causeway under glass for you to walk on. Museum review: 4 stars. At Carrawburgh on Hadrian’s wall we stayed close to the farm where I spent holidays in childhood with my great aunt Polly, so we revisited some of my personal sacred sites (where the camera went funny, so no pictures here). 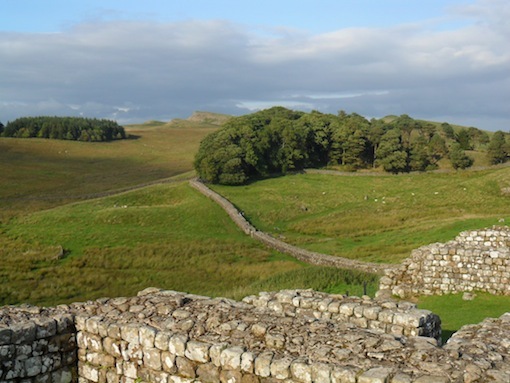 Housesteads was a favourite destination of my father’s for our walks. I had no idea it was so far (6 miles), yet my little legs coped somehow. Not this time. Even though I drove there, the climb up to the new visitor centre reminded me very painfully that I have sarcoidosis. I thought I was going to sit down and die on the spot, or at least cough up blood, but I felt drawn onwards. Something told me there was something there I needed to see, and there was. The Three Cucullati – genii loci. 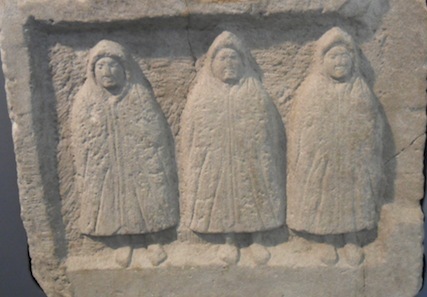 These hooded guys are haunting me and I’ll do another post on them soon. Once I’d got my breath back, there was the view, even better than remembered. The final destination was Lindisfarne. 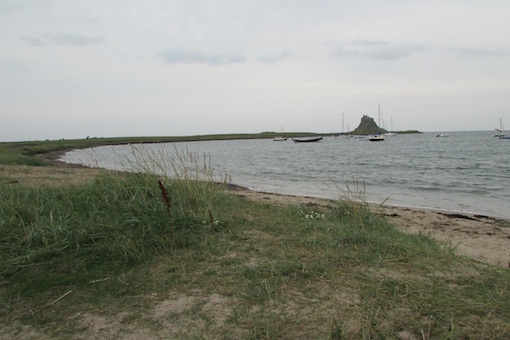 We stayed at Budle Bay and went to the island once by boat, once by causeway. The Lindisfarne Exhibition Centre – put on by locals – four stars. 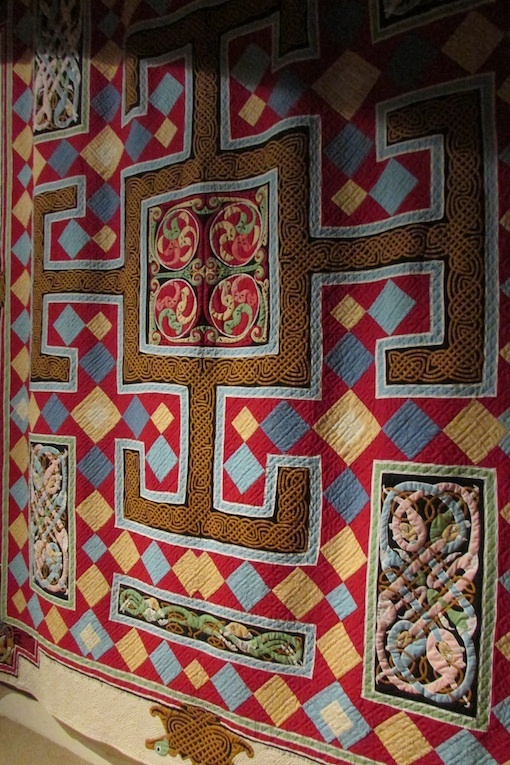 There are some amazing quilts there, inspired by the Gospels. Weather was fine throughout, until the last day, when autumn came off the sea. Whitebeam in mist, Budle Bay. And so home, via Durham and the Lindisfarne Gospels Exhibition (two stars). Two days after we got back, we took off for Cirencester to catch the last of the fine days. 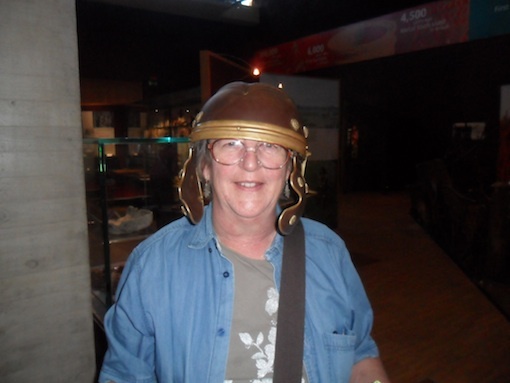 At the Corinnium museum, there they were again, this time with Mum. 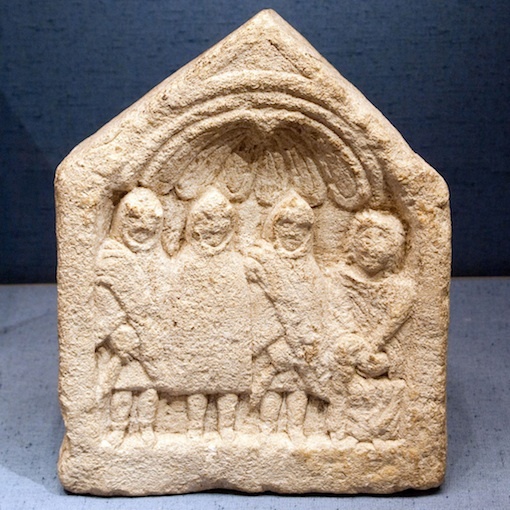 Three Cucullati with Mother Goddess. Picture from Photo Delusions blog with thanks. Corinnium Museum – 3 stars. I struggle to like modern museums, where the focus is on ‘experience’ for children and the objects take second place. Of all the museums visited recently, Chesters Roman Museum gets 5 stars for its unaltered displays – great cluttered cabinets of curiosities. Auxiliary Fabrica Superba at The Collection, Lindum Colonia. Why should museum experience be only for children? Those helmets were heavy!